KOCO – Knit One Change One. An evening with Danielle Chiel. 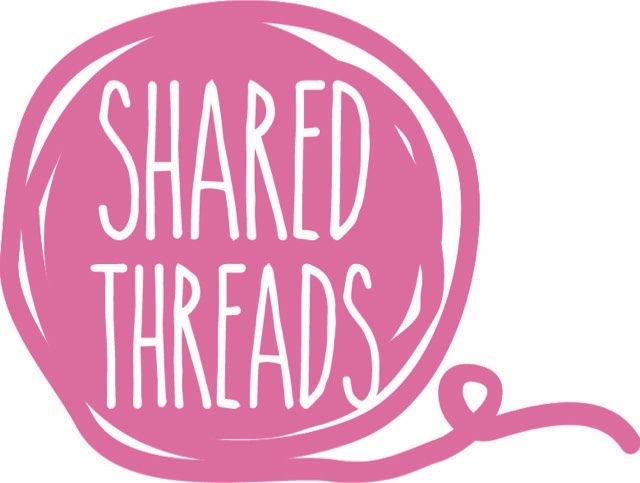 Shared Threads is delighted to invite you to an evening with Danielle Chiel the founder of KOCO – Knit One Change One. Danielle will share the inspiring story of her rapidly growing entrepreneurial partnership with women living in rural villages of southern India. She has taught hundreds of women to knit and they are now producing cat-walk standard hand-knitted garments for the international textile industry. In doing so, she has stimulated local economic growth and employment and witnessed social and economic empowerment amongst the women involved. Danielle will talk about her fascinating journey and invite us to join her for her Danielle Chiel Connect India Tour. Guided by Danielle herself, participants are able to meet the local artisans who work with Danielle, sitting and talking with them as they work, hearing their stories as well as cooking and eating with them in their homes. Danielle will introduce to you the wonders of southern India that she has come to love and know intimately over more than 30 visits. Back by popular demand, we are offering a follow up of last month’s Making It Better workshop. Join us on November 18th from 1-5pm (you said you wanted longer) at The Bronte Sewing Room in Macpherson St, Bronte for a relaxing and peaceful afternoon of gentle, meditative stitching. Accompanied by tasty afternoon tea, beautiful surrounds and no domestic demands as well as engaging company, explore the possibilities of simple stitches in improving well being and creating interesting and beautiful embroidered pieces. We will introduce some new techniques such as Boro mending and you may wish to bring along an item needing repair such as an injured pair of jeans or a jumper. The Australian Design Centre has announced the theme for this year’s Sydney Craft Week Festival to be – MINDFUL MAKING. We are proud and excited to have been invited to run a festival workshop in the beautiful ADC Gallery Space. In our Making It Better workshop we will explore the role of craft in getting through life’s challenges – whether it be illness, grief, stress or general hardship. Engaging in craft can be as simple as creating a distraction to as complex as the creation of a work that is symbolic of resilience and recovery. In this experiential workshop we will use the ‘simple’ running stitch as a medium for exploring the processes of healing and growth. Start your own project using linen, needle and thread that may be completed as a cushion, bag, wall hanging or perhaps become an ongoing ‘stitch diary’ of your personal experience. Megan (psychiatrist and craftswoman) and Deanne (architect and psychology graduate) will discuss examples in which people have used a variety of craft media to live with or work through challenging times, illness or pain, loss and grief. Megan will demonstrate a variety of stitching techniques and Deanne will guide you through a design process to help bring meaning and mastery to your experience. Projects can be completed at follow-up Shared Threads crafternoons. Materials and afternoon tea will be supplied. *Bring your own materials or you can purchase a bag-making kit for $25 on the day. We will email all enrolled participants prior to the workshop to see who needs kits. Join us for a fun and relaxed afternoon of sewing, good company and good food, whilst making a contribution to protecting our planet from plastic. With the Big Supermarkets finally agreeing to phase out plastic bags this year we thought we would start our 2018 activities with a bag-making workshop. With the emphasis on REDUCE, RESUSE and RECYCLE we are going to make our bags out of recycled fabric where possible. So raid your scrap basket, dig around at St Vinnies, get out your old sheets, pillow cases, scraps of fabric, old jeans and shirts – all can be made into new bags which, with a little imagination can look beautiful as well as functional. This workshop will be hosted by the wonderful Colette Reynolds owner of award winning Bronte Sewing Room. Colette has worked in the fashion industry for over 30 years and has been teaching sewing for many years. Colette will also tell us about her work in reducing plastic waste in the ocean, in her role as the founder of The Last Straw Bronte. You can see what she is up to here. She is a stalwart member of the Bronte community and a great connector of people. She is one of my favourite people and we look forward to introducing you to her. Our bag pattern is simple enough for beginner sewists and can be adapted to the imagination and skill of the more experienced. We will guide you through the steps so you can go home with a shopping bag and the skills to make many more. You are welcome to bring your own sewing machine but there are plenty available as well as scissors, measuring tapes etc. bring your material and thread to match. Suitable for age 8 and up. (children to be accompanied by an adult). The Bronte Sewing Room is a wheel-chair accessible venue. Bring your own knitting supplies or purchase a beanie making kit for an additional $45*. Designing your own knits takes making to a whole new level of satisfaction. Have you ever wanted to try but didn’t know where to start? We invite you to unlock your inner designer and explore the possibilities of the versatile knit stitch as applied to that small but versatile accessory: the humble Beanie. In this class we will guide you through Beanie anatomy – from brims to pom-poms, stitches and colours, giving you the skills to develop and execute your own bespoke design. We will cover sizing with easy ways to do the math, and show you different techniques for knitting your beanie in the round or using straight needles. You will go home with your own pattern and the skills to make it! To paraphrase, when you teach a woman the skills to design and make a beanie, she will never again suffer from a cold head. Bring with you: enough yarn for a beanie, preferably in a natural fibre (wool or alpaca or a mix are ideal) and knitting needles in the size recommended on the label and one size smaller. You can choose to knit in the round or knit with straight needles. If knitting in the round we recommend a 60cm cable needle and a either an extra 60cm cable needle or a set of 5 double pointed needles to complete the top of your beanie. Alternatively, 1 or 2 x 100cm cable needles which will allow you to work in the round using the magic loop or two-cable needle technique. We will have some spare yarn and needles just in case your imagination takes you in an unanticipated direction. *Beanie making kits with yarn and needles are available for $45. The kit contains a pattern making guide, 3 balls of Morris and Sons Estate 10 ply yarn in a choice of colours plus 2 x 100cm 5mm cable needles, a darning needle, a tape measure and a small pair of scissors in a Shared Threads paper project bag.